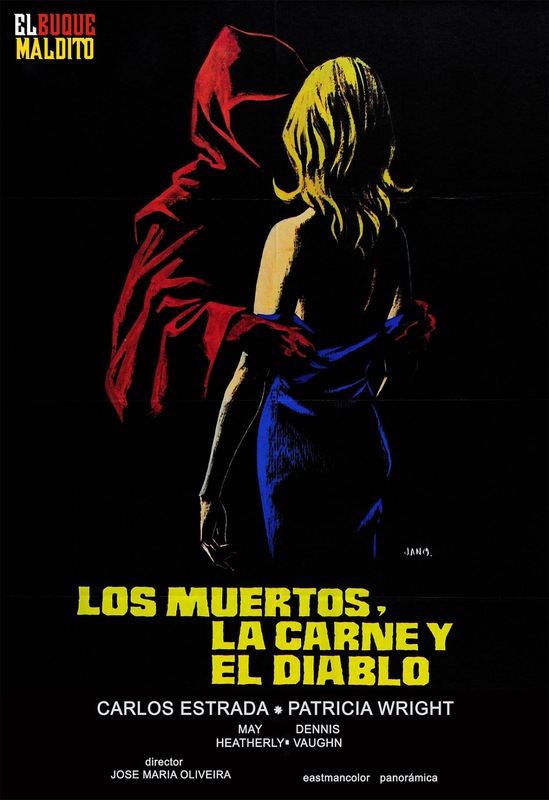 THE DEAD, THE DEVIL AND THE FLESH (AKA LOS MUERTOS, LA CARNE Y EL DIABLO) is a José María Oliveira’s work from 1974. I have previously talked about this out-of-the-ordinary Spanish director who tried to introduce the The Church of Jesus Christ of Latter-day Saints in Spain via his cinema. If this was kind of obvious in LAS FLORES DEL MIEDO it as clear as day. Once again Oliveira is working with his wife, the actress Patricia Wright, who introduce him in this faith, together with Carlos Estrada (PERVERSIÓN), Emiliano Redondo (JOURNEY TO THE CENTER OF THE EARTH), Antonio Mayans – Jess Franco’s cult actor -, Manuel de Blas and Adriano Dominguez (LOS CÁNTABROS). The music was composed by Antonio Pérez Olea who also worked om the scores for EL BOSQUE DEL LOBO or A CANDLE FOR THE DEVIL. We are dealing with a more complex screenplay than the one in LAS FLORES DEL MIEDO. We have more than one setting and the story reaches higher complication and thrill. 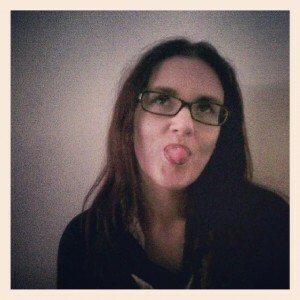 We have more than three characters so it is a little more enjoyable. But, we cannot forget this movie was just propaganda for the church so it is not entertaining. Basically, the ideas portrayed in here are their plan of salvation which includes the doctrines of a pre-mortal life, three degrees of heaven, and exaltation; the idea of Jesus Christ; their moral code against adultery; and the comparison to Christianity. It lasts 88 minutes that seem to be ages as most of the times we find characters discussing metaphysical issues or allegories used to preach their beliefs. Best thing is how it anticipates, especially in the séance scene, to Amenabar’s THE OTHERS final scene. Not a fun! Not suitable for siesta time! Anyways, it is interesting for its peculiarity but that is all. It was in the oblivion for almost 30 years mainly because, as you can see in my review it is not a mainstream product and it was not successful at all. I could watch it thanks to EL BUQUE MALDITO DVD release. In this edition there are several extras as: interviews to the director José María Oliveira and actress Patricia Wright and the American press-book. It is in English, original language of the film, with Spanish subtitles, format: 4:3, region: 0 -suitable worldwide-, and system: NTSC. Even though the quality of the image is not so good, it was restored from the original U-Matic master. If you like rarities and weird stuff this is your thing! WHAT HAPPENED TO DORADO RELEASES OF JESS FRANCO AND LARRAZ?